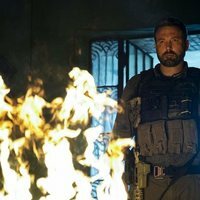 Five former Special Forces operatives reunite to plan a heist in a sparsely populated multi-border zone of South America. For the first time in their prestigious careers these unsung heroes undertake this dangerous mission for self instead of country. But when events take an unexpected turn and threaten to spiral out of control, their skills, their loyalties and their morals are pushed to a breaking point in an epic battle for survival. 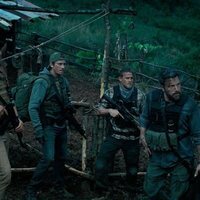 Charlie Hunnam, Ben Affleck, Pedro Pascal, Oscar Isaac and Garreth Hedlund star in this adventure crime film directed by J. C. Chandor ('All Is Lost', 'A Most Violent Year'), who also penned the screenplay along with Mark Boal ('Zero Dark Thirty', 'The Hurt Locker'). 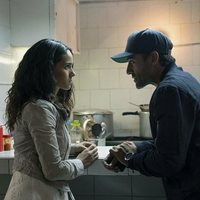 Write your own 'Triple Frontier' review. Kathryn Bigelow was going to direct the movie but left to work on 'Detroit'. In 2010, Johnny Depp and Tom Hanks were in talks to star in the project but negotiations fell through over the course. Later, producers approached Will Smith to star but those early negotiations quickly fell through as Smith went on to do other projects. Also, Denzel Washington, Sean Penn and Mark Wahlberg were once in negotiations to star in the film. 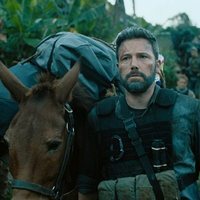 At one time both Casey and Ben Affleck were going to star in Netflix's production of 'Triple Frontier' but dropped out. Ben signed back onto the project in 2018. Charlie Hunnam was also attached to this project then dropped out and rejoined this project later.